Manuel dos Santos, owner of Café Sintra in downtown Bend, named the restaurant after his hometown in Portugal, near Lisbon. Café Sintra specializes in delicious, flavorful dishes that pay tribute to Portuguese cuisine. Breakfast and lunch is served daily, with a focus on Portuguese favorites like linguica and eggs, Portuguese stew and gazpacho. Café Sintra recently expanded its menu and hours and now serves dinner Wednesday through Sunday, with a menu featuring the ocean, the ranch, and the garden. You can also bring the taste of Portugal to your next event with catering from Manuel and his team, or rent the restaurant and bring your private event to the intimate space with its unique European charm. 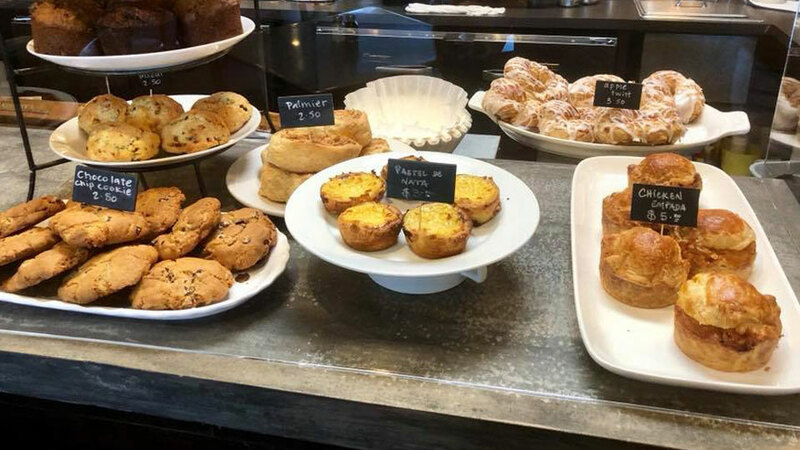 A warm atmosphere and friendly service makes Cafe Sintra the perfect place to gather with friends and a cozy stop for a good espresso drink and homemade pastries; the ideal pick-me-up in the middle of a shopping spree through downtown Bend. Almost as near and dear to Manuel’s heart as great cuisine is soccer. He invites family and friends (that includes you!) to watch games at the café and a current game schedule can be found on the café’s website.